Notice that Greg is reacting as if Leviticus declares that the intrinsic value of a woman before God is only 60% of a man’s value, as if the Law somehow diminishes her personhood. He finds such an idea offensive to the core and “absurd”. Now, a faith-based statement like Greg’s about the intrinsic value of the sexes is certainly one way of reckoning worth, but it’s not the sort of measurement contemplated in Leviticus. What sort is contemplated? Well, let’s say I am hiring people of both sexes to chop wood and load it into my pickup. It is clear to most observers that the average man, because of innate differences in physical strength, size and stamina, is capable of chopping and carrying more wood than the average woman over the same period of time. So if I tell you that I only expect my female employees to chop and carry 60% of the amount of wood that I expect from a man, does that prove I am a sexist or simply a realist? You be the judge. What is being measured in such a case is not innate worth but market value. It’s mere economics. If such a law is sexist, it is also ageist (though in fact it is neither). A middle-aged woman here is of greater value than a teenage boy and twice the value of an old man. A teenage girl is of greater value than a male infant. Obviously intrinsic value is not the issue here. Irate feminists may stand down. That ancient peoples made vows to their gods is a matter of historical record. The practice was so common in the world of the day that Leviticus 27 should probably be viewed as a set of peculiar Israelite limitations on vows rather than any encouragement to engage in them. Notice the passage starts with, “IF anyone makes a special vow ...” and Deuteronomy makes the optional nature of vows explicit by adding, “If you refrain from vowing, you will not be guilty of sin”. This was very much a voluntary exercise. The book of Samuel records the sort of pledge Bob Deffinbaugh refers to. Unable to have children, Hannah made a desperate vow before God, offering the child she hoped to conceive to the Lord to serve him “all the days of his life”. And so he did. Theoretically, under the law Samuel’s family might have paid the price to redeem him from his service obligation. If so, it was a good thing for Israel that they did not. Classical rabbinic interpretation seems to bear out what Deffinbaugh is saying here. Those who have been reading our “Wacky Old Testament” series will recognized the following mantra: These laws were given to Israel and not to the church. They do not apply to believers today. But still less do they have anything to do with feminism, “equality” or the modern battle of the sexes, as Greg at Holey Books would like us to believe. In fact, in order to redeem himself from a rash vow, it was the adult male in Israel who used to take the biggest financial hit. Essentially he was “taxed” at a higher rate than anyone else. 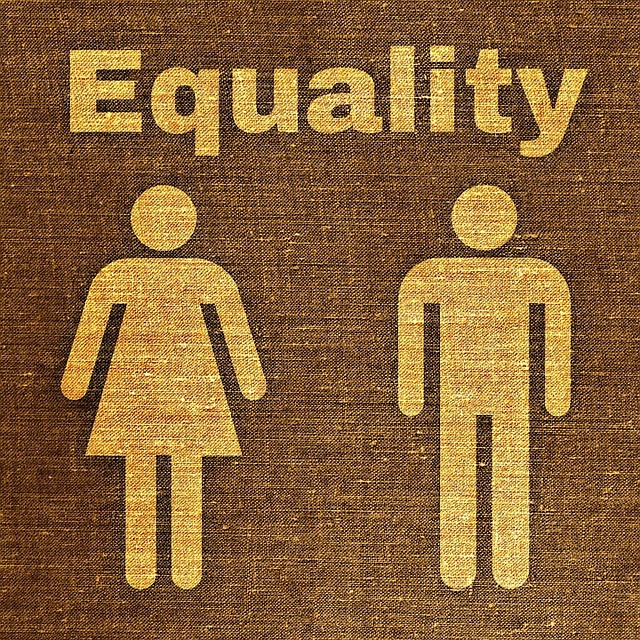 Anyone who demands THAT sort of equality is, in my humble estimation, not thinking too clearly. not look at it askance and miscategorize it as works for salvation (as might be the case for the Protestant tradition?). Hmm. Which New Testament teaching are you thinking of? Looking at these verses, Q, I don't think they're really describing the same thing. A vow was giving (not just in Judaism, but in many religions of the day) in the hope of moving one's god to give the vower some particular reward in this life. Jehovah cautioned Israel to be careful about this sort of thing (the "rash vow"), so I see it as not being encouraged within Judaism and certainly not being mandatory. The Jew who never vowed was not worse off for it. The New Testament strain of thought found in most of the verses you've mentioned has more to do with the acquisition of reward in heaven ("you will have treasure in heaven" is the repeated theme). And as you say, I do not think salvation is in view at all. Rather, what the Lord is teaching is that those who are already in a relationship with God by virtue of saving faith are uniquely in a position to acquire heavenly rewards. Their acts are a demonstration of existing faith, and therefore pleasing to God. Not exactly what I said or meant Tom. As I said the "works" argument and your own salvation is not in play here. What is in play is that benefits can be and are obtained, e.g. through prayer, often in combination with the promise and implementation of a personal sacrifice like fasting and even alms for a variety of causes. The readings clearly are NT examples of where that is suggested and there are many more. Agreed about salvation being not in play. That said, we're on the same page if you're talking about heavenly benefits. If you're talking about earthly benefits like the ones people sought with Old Testament vows, I'm afraid I'm not seeing it, or else we'll need some more of those references. For example, Luke 9:24 says, "Whoever would save his life will lose it, but whoever loses his life for my sake will save it." Clearly there the benefit derived is HEAVENLY, not earthly, as it results in an earthly life that (to all appearances at least) is lost. Or Luke 18:22, where the benefit is "treasure in HEAVEN". Or Luke 12:33, "treasure in the HEAVENS". Again, in Matthew 6:16, the treasure to be obtained by vowing is "laid up in HEAVEN" (v19) and in Matthew 19:27-29, the treasure is once again "in the NEW WORLD". Matthew 19:21, "treasure in HEAVEN". Mark 10:21, "treasure in HEAVEN". And 1 John 3 talks about laying down our lives for the brethren, but doesn't offer any earthly benefit therefrom. In short, Q, I cannot find a single instance in the verses you cite in which there is a benefit to be derived in THIS world from vowing, fasting, etc. There may well be "many more" ... or possibly you will find the incentives to be of this heavenly sort in every instance when you really look at them. "how does sacrificial Christian prayer benefit us on Earth"
I took the excerpt below from one of the links (below) that came up. "What prayer will and will not do"
So, Tom if you are saying that God does not bestow benefits also in this life based on our talking to him then I believe you are pretty much alone with that. Obviously God cares about us in this world as much as in the next. Here is another psychological reality that you seem willing to readily ignore in that our behavior as fathers (or grandfathers, mothers etc. ) certainly allows us to deduce something about God's will and disposition as well concerning worldly matters. E.g., if I have two grandchildren and the one is rude, indifferent and obnoxious, then I will certainly not reward him but will take the other one fishing. So, mankind can certainly expect payback (a barter) in this life already depending on who you are even though Job shows that God's plan will have priority over ours. Again, I think we're talking past each other, Q. The subject of the post was VOWS under the Old Testament law and the cost of buying your way out of them when you were unable or unwilling to fulfill them. The subject was not "prayer in general". Naturally I wholeheartedly agree with you that Elijah prayed and got an answer. It's happened to me too, and most Christians have had the same experience. But there was no VOW involved, no quid pro quo, no promise on Elijah's part or mine, and no trade made with God. There was simply a REQUEST, which God in his sovereignty may choose to grant or not to grant. The two things (vows and ordinary, unadorned requests made to a loving God) are apples and oranges, I would say. And he should cease trying forever—"